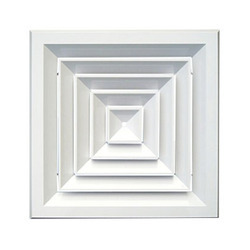 With firm commitment to quality, we are manufacturing, supplying and exporting a comprehensive range of Ceiling Diffuser. Our range is manufactured following industry set standards and norms using high quality material. The material brought into use for manufacturing is sourced from certified vendors of the market. Looking for Humidification Product ?